Aroma – Warm, rich, fiery, sharp, peppery, aniseed-like. Therapeutic Properties – Restorative, general stimulant, stomachic, digestive tonic, intestinal antiseptic, anti-infectious, antibiotic. Interesting Facts – Derived from the Greek word for “king,” basileus. Considered a holy herb in India, sacred to Krishna and Vishnu. Became the protective plant of the house, and spirit of the family. 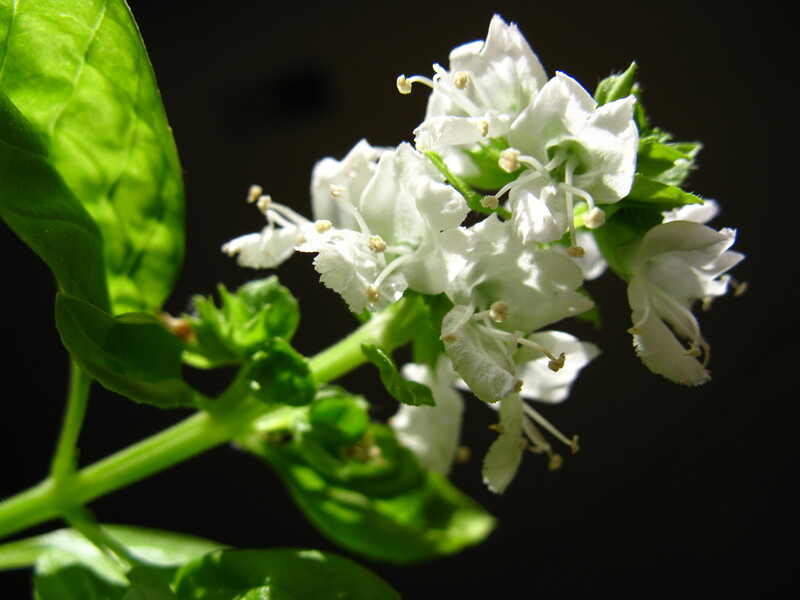 It is said that every good Hindu places a basil leaf on his/her chest when resting. Hmmm…I’ll try the basil leaf on my chest thang the next time I’m in savasana. I’ll let you know what whappens! Toni! Ms. Basil, if you’re nasty, get in here! Oh, Mickey you’re so fine! You’re so fine you blow my mind! Hey, Mickey! ← Back to School, Y’all!